A touching tribute to a fallen Fallout 4 fan. While exploring the southern region of the new Fallout 4 Nuka-World DLC, you may run into a young NPC named Evan sitting atop a modest trailer. Evan will give you a nifty Nuka-Love Recipe for free, no strings attached. This caring and selfless character was created by Bethesda as a heartwarming tribute to a real, flesh-and-blood person named Evan, who sadly passed away at age 24 to diabetes. In a Reddit post made several months ago, a Redditor named NoohjXLVII opened himself to the world and revealed that Fallout 4 helped him cope with the loss of his father. NoohjXLVII, also known as Andy, updated the post to reveal that his brother Evan was in the ICU and had eventually passed away. Someone at Bethesda saw this heartbreaking post and found a way to pay homage to Evan in the new Nuka-World DLC for Fallout 4. Look for Evan's House near the southern border in the Fallout 4 Nuka-World DLC. 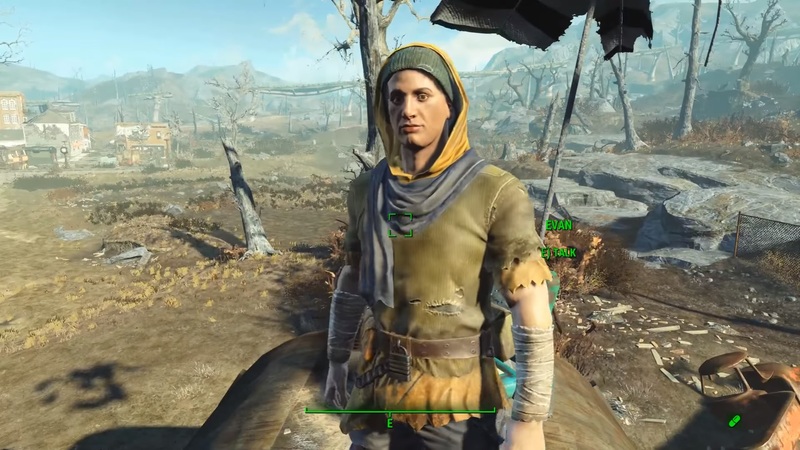 NoohjXLVII said he was grateful to Bethesda for including his brother into the game. But Bethesda didn’t stop there. According to an update from NoohjXLVII on Reddit, they even sent him a care package full of goodies and a personalized note. The note is signed by Jessica Finster, the community manager of Bethesda Softworks. Perhaps it was her who initially saw the slew of posts from Andy and pitched the idea to the developers. Either way, Evan is now immortalized in one of his favorite games. Ad Victoriam!